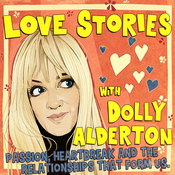 Love Stories returns for a second series with author and journalist Dolly Alderton talking to guests about their most defining relationships: the passion, heartbreak, longing, familiarity and fondness that have formed who they are. Dolly's guest this week is the writer, actor and director Sharon Horgan. Love Stories returns for a second series with author and journalist Dolly Alderton talking to guests about their most defining relationships: the passion, heartbreak, longing, familiarity and fondness that have formed who they are. Dolly's guest this week is the writer Matt Haig. Love Stories returns for a second series with author and journalist Dolly Alderton talking to guests about their most defining relationships: the passion, heartbreak, longing, familiarity and fondness that have formed who they are. Dolly's guest this week is the singer and songwriter Lily Allen. Love Stories returns for a second series with author and journalist Dolly Alderton talking to guests about their most defining relationships: the passion, heartbreak, longing, familiarity and fondness that have formed who they are. Dolly's guest this week is the comedian, writer and actor Lolly Adefope. Love Stories returns for a second series with author and journalist Dolly Alderton talking to guests about their most defining relationships: the passion, heartbreak, longing, familiarity and fondness that have formed who they are. Dolly's guest this week is the award-winning comedian and writer Adam Kay. 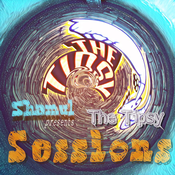 Lyt til Love Stories, Tipsy Sessions og mange andre stationer fra hele verden med app'en radio.dk.